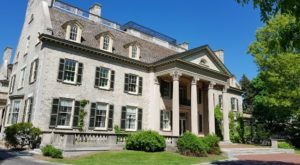 Just a half-hour south of the city of Rochester, residents can find a historical gem of Western New York. 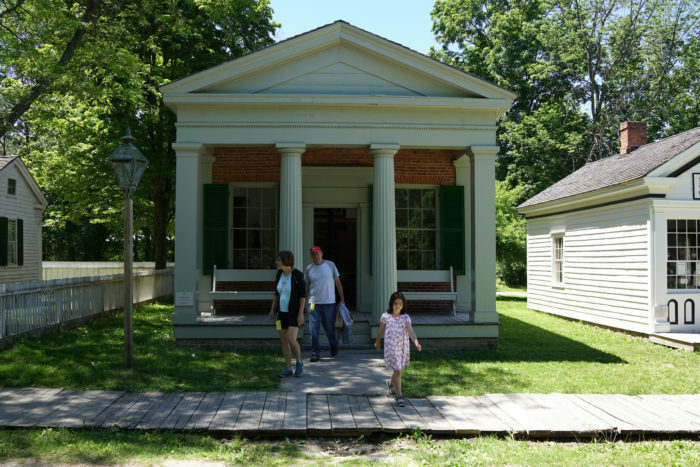 Part of Monroe County and the hamlet of Mumford, the Genesee Country Village gives you an opportunity to see pieces of history that have come from all over this region. 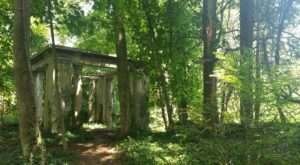 So if you’re looking for a fascinating day trip to take this spring, it’s time to mark this spot down on your calendars! 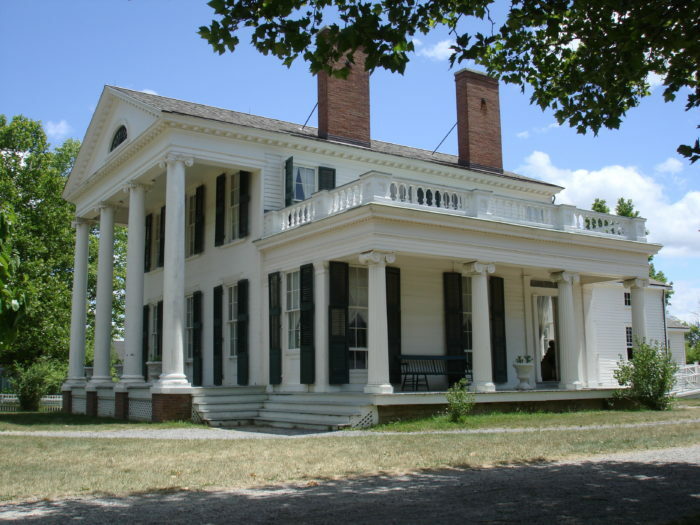 The largest living history museum in New York and the third largest in America, the Genesee Country Village spans across over 600 acres. 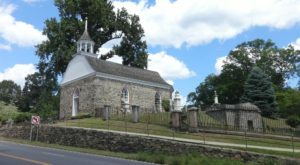 Founded in the mid 1960s by John L. Wehle, the museum over time brought to life a historic village. Gathering historic buildings from all over Western New York, the structures were brought to the museum's property to be restored and from the Genesee Country Village. 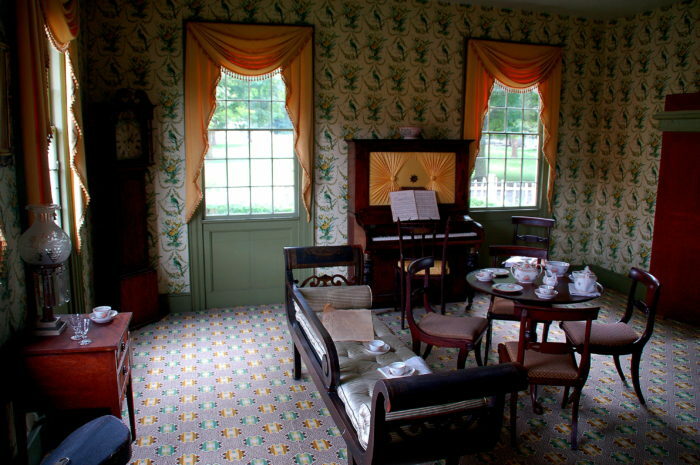 In total, the Genesee Country Village has 68 restored and furnished buildings that visitors can walk through and explore for a true trip back in time. 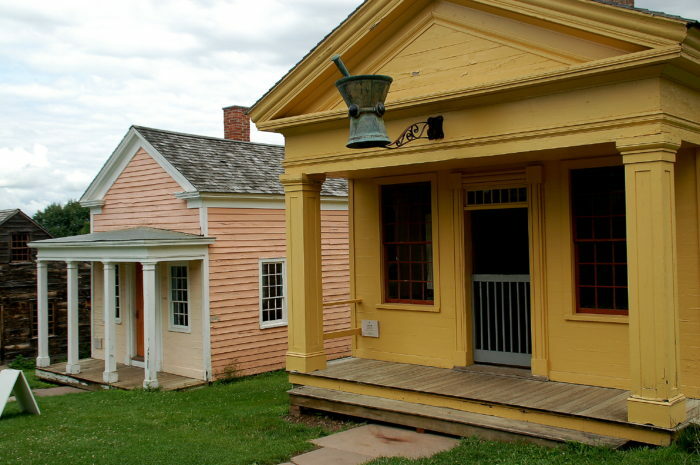 Throughout the museum's property you'll find buildings and structures that are from different eras anywhere from 1790 to 1900. 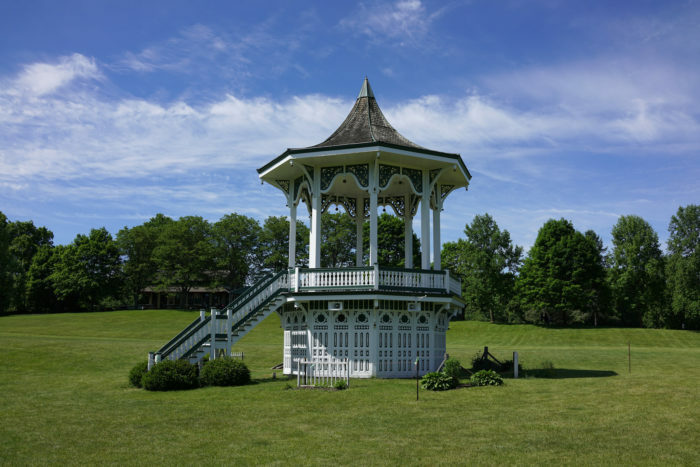 With charming structures like the picturesque gazebo in the heart of it all! 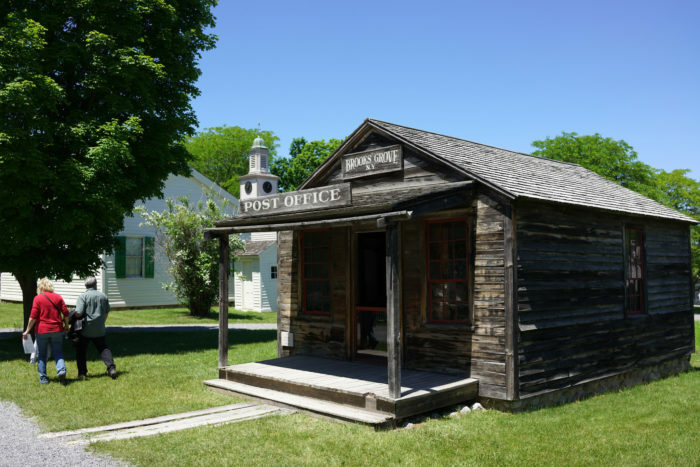 While strolling through the living museum and the historic village, you'll see three significant periods of time like the Pioneer Settlement era from 1790 to 1820. 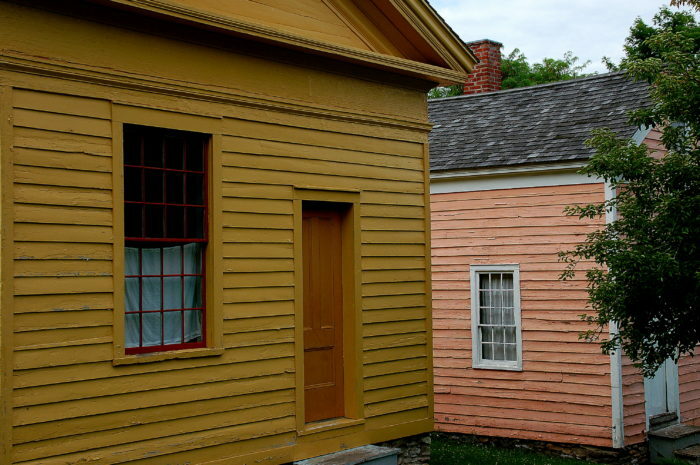 To more luxurious structures and buildings like the Livingston-Backus House that are part of the Center Village era from 1830 to 1860. 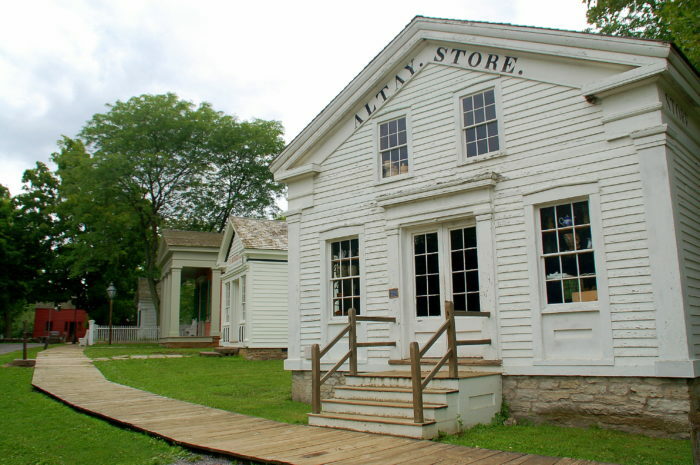 Other buildings in the Center Village include the Atlay Store that was built in 1848 and once operated like an old trading post. 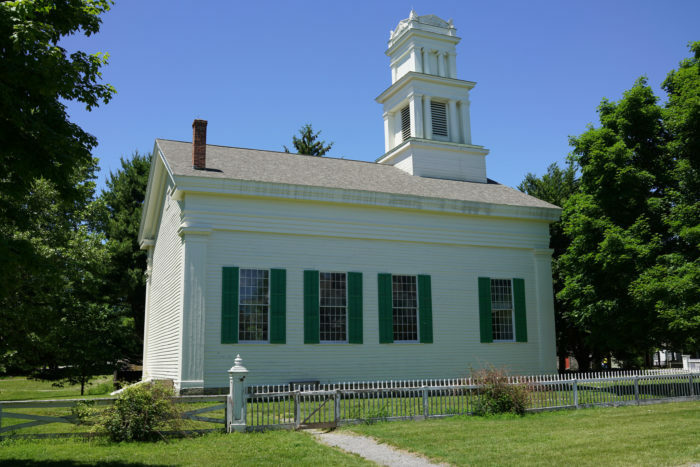 As well as peaceful looking buildings like the Brooks Grove Methodist Church and Parsonage that was built in 1844. 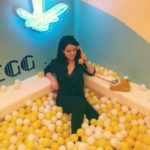 One of our favorite places to visit in Center Village though is the D.B. Munger & Co. Confectionery, right next to the Atlay Store. 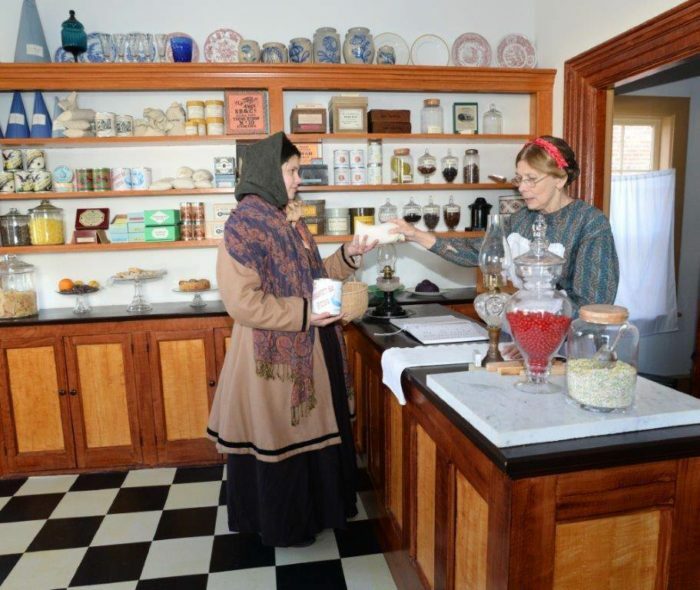 Inside what was once the Physician's Office, the confectionery operates as both an exhibit and a actual confectionery! 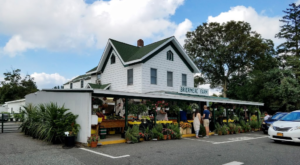 The perfect place to stop in to get some old-fashioned sweets. 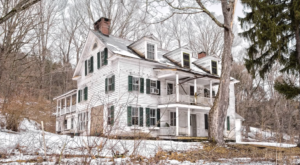 With each home having its own story to tell, this quaint little building was the childhood home of Eastman Kodak Company founder George Eastman. 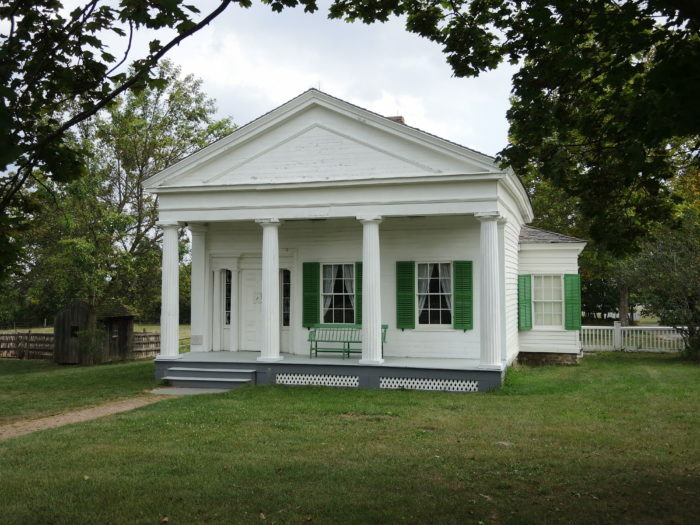 Built in 1840 in Waterville, Eastman lived here in the early years of his life. The last era you'll explore is the Gas Light District from 1860 to 1900. 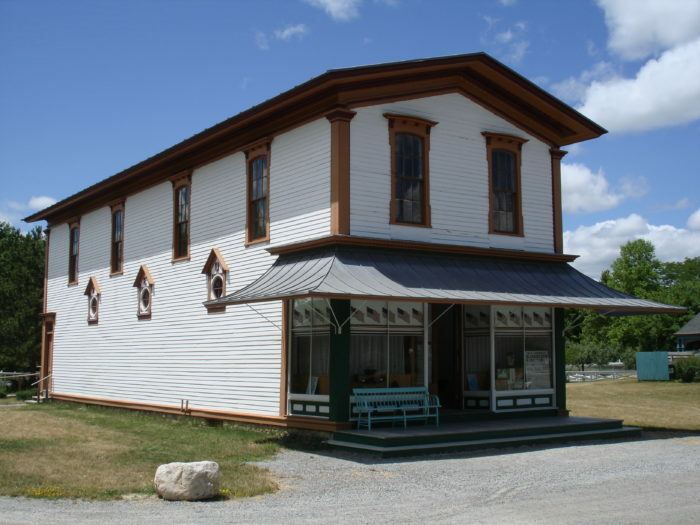 In this era you'll get to check out the Davis Opera house from South Butler in Wayne County, dating back to 1884. 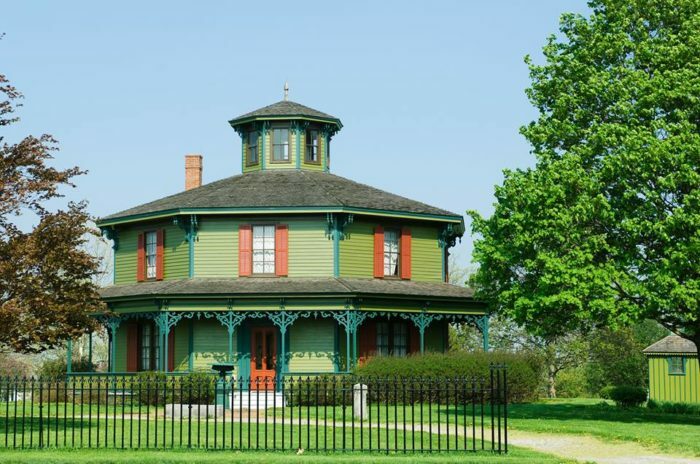 And the famous Hyde House, also known as the Octagon House. 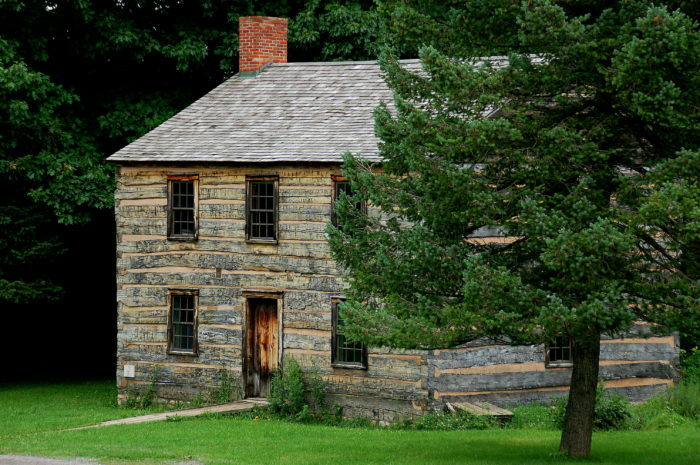 A historical home that has eight sides and originally hailed from Allegany County. But the excitement doesn't end once you stop exploring the 19th century village. 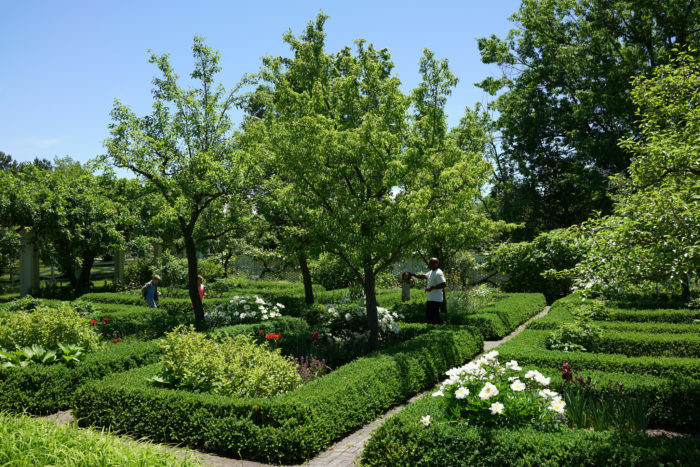 Also part of the living museum, there's the Heirloom Gardens and Nature Center that will show you another unique side of New York's history. 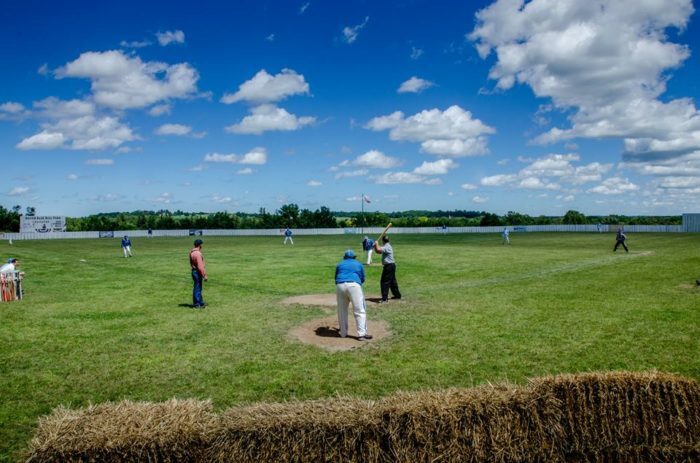 The Genesee Country Village also is home to the Silver Baseball Park, a replica of a 19th century baseball park! Featuring everything from manual scoreboards and old uniforms to wooden bleachers and popcorn and peanuts, true lovers of this sport will appreciate all that is preserved here. 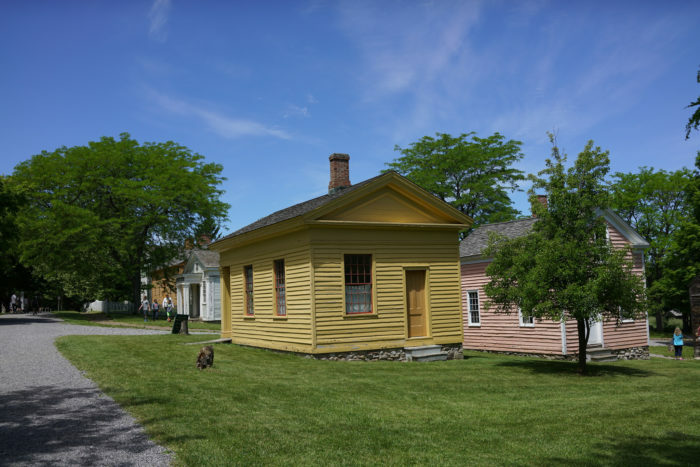 Offering exciting events throughout the year, the Genesee Country Village will be open for the year before you even know it! 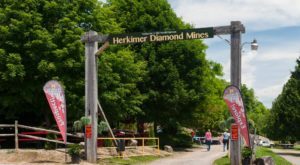 Opening for the 2018 season on May 12th, now is the perfect time to start planning a day trip out to Mumford. Admission to the living museum ranges anywhere from free for kids three and under to $18 dollars for adults. 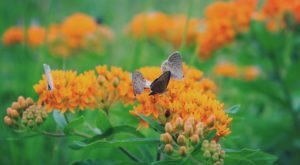 To find out more information about the Genesee Country Village, click here. 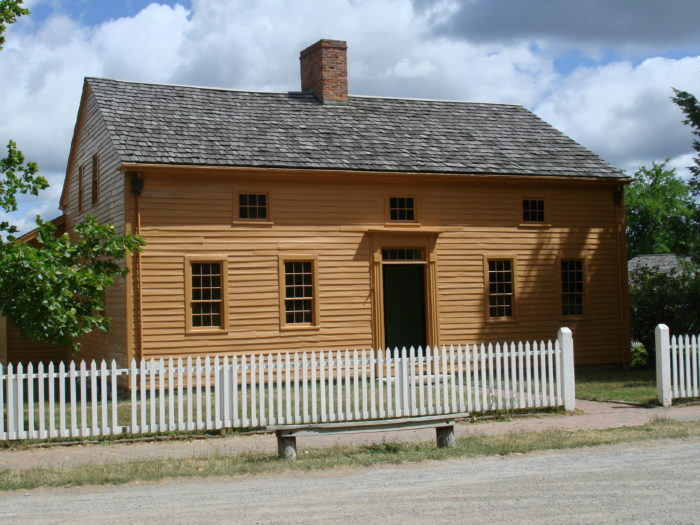 Have you ever visited the Genesee Country Village in Mumsford? 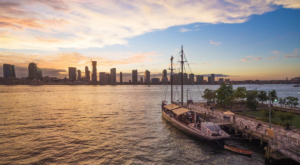 To dive into other pieces of our history, read about these 9 Incredible Places Around New York That Were Once Part Of The Underground Railroad!